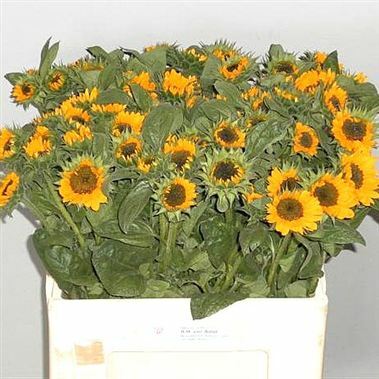 Sunflowers (helianthus) Sonja are a small flowering variety. Flower head size: approx. 6-7cm in diameter.